NuGet Gallery | Packages matching Tags:"transformation"
56 packages returned for Tags:"transformation"
SlowMonkey allows you to use the same kind of config transformations that are used in ASP.NET projects with executable and class library projects. It is inspired by Sayed Hashimi's SlowCheetah package but is designed to work with Mono's xbuild as well as .NET's MSBuild. Provides an easy way to abstract a data object model into a projection object model, that can be exposed to external consumers (WCF services, assembly consumers, REST APIs, etc.) without exposing data model information in order to filter, sort and transform query results. Build target for generating a T4 file with a list of assembly directives based on the projects references. References with a hint path and solution references will be listed the AssemblyReferences.tt file. This file can then be included by other T4 files. 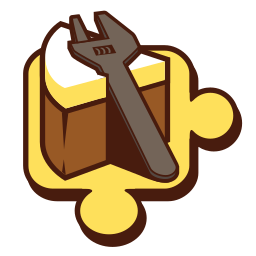 Cake addin for fluent description to update file content before build (csproj & cs source file). Windy.Transformations is a rule-based transformation engine. It is extreemly easy to setup a L-System on Windy.Transformations. The helper class to trasnform a string based on the template and data objects, dictionany or lazy data provider.